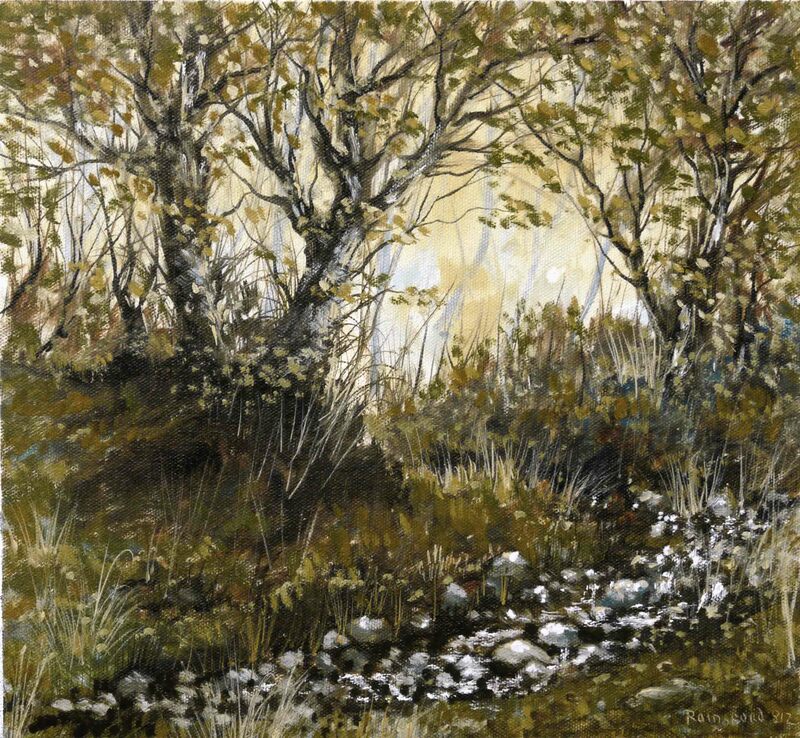 This entry was posted in Oil Painting and tagged Art, Brushes, Culture, Education, Inspiration, Irish landscape, Medium, Oil Painting, Oil Painting Instruction, Oil Painting Landscape, painting, Pictures, Sky, Solvent, Time lapse painting, Trees, Woodland. Bookmark the permalink. If reality is only what we see, we make the concept of it very small, we might also concentrate on the reality we feel or smell or taste and make that visual in paintings. It invites the viewer to look and think and feel at his turn. Maybe that’s why the feeling of beauty is so different for everyone…. and also his appreciation or misunderstanding of a painting. PS: thanks for the video, it’s again a nice story of a growing painting, wonderful! “You could give it a try on a very huge canvas, without rules of color mixing, brushes or mediums, just for the fun and for the feeling of freedom” – its a long time since I did some thing like that. Over the years I’ve come to the conclusion that freedom comes from the mastery of the materials and I’m still trying to master the materials, 40 years later. Every painting is still a voyage of discovery. I can’t wait to finish the current painting to start the next. A huge canvas would probably bore me to distraction. Thanks again for the comment. this one is amazing, by the way out of curiosity do you mix your colours with water sometimes? Thank you, I’m glad you liked. To answer your question, no, I never mix water with oil colours. They’re incompatible. The oil and water would not mix so it would not do anything for the application or appearance of the paint. There is a ‘water soluble’ oil paint available now which would be workable with water. I’ve never tried this. Apparently its the same as the original oil paint but without the solvents. This is for those who don’t like, or are allergic to solvents. Thank you. Yes its especially good for the skies. This is my favourite so far Liam. I think without relation to a specific subject but a visual memory, it has much more feeling. I can put myself in here and know it (and love the feeling). Wonderful to see it develop. thank you for the experience! Thank you so much for the nomination. I really appreciate it. My problem is time, or the lack of it. I’ve barely enough time to keep the posts flowing. So I actually spend very little time blogging and am out of touch with what’s happening all the time. Thanks again for the thought, its nice to be appreciated. You’re welcome! I have trouble keeping up as well.